Delta KN is a specialist learning agency focused on training those in the healthcare and pharmaceutical industries. They felt that a lack of learning management system was limiting their potential for growth. Implemented multilingual online portals that benefit Delta KN's international delegates. These adaptable, localised portals feature full course material upload capabilities, which received great feedback. We worked closely with the client to provide in-depth reporting tools. This allows greater business intelligence when expanding their business and course offerings. By delivering a completely flexible training management system, suited to the individual needs and expectations of global delegates, Delta KN was able to expand their international course offerings and attract a wider audience. 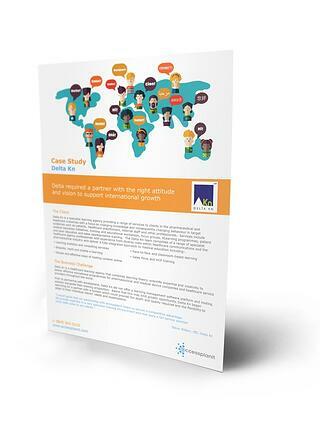 Get your free case study today, and explore how we helped give Delta KN the competitive advantage.